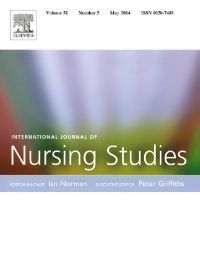 The May issue of International Journal of Nursing Studies (IJNS) features an editorial written by Executive Editor, Professor Peter Griffiths, PhD, BA, RN, outlining the open access options available on his journal. In the article, he highlights the difference between an OA journal and journals offering OA options (also known as the hybrid model). He also touches on IJNS’s liberal self-archiving policies. Here he explains why establishing clarity around these points is so important. As an active academic researcher in a leading research department, I have views and preferences around publishing and research strategy. While I always do my best to ensure that anything I publish is available OA (whether gold or green), I admit my major concern is whether it is the best journal for my work. However, if I’m wearing my journal editor hat, then my first thought is protecting my journal, my ‘turf’. Luckily, these two positions rarely clash. In my academic day job there is currently a huge push towards open access, for example, the next REF* demands it. Broadly speaking, I think that is great, but it is becoming increasingly apparent that many people misunderstand open access - they think the only route is a paid model and that in order for a paper to be OA, it must be published in an OA journal. If we don’t help people understand that is not the case, we will all be in trouble. For example, some people don’t perceive IJNS to be an OA journal, but we are – we follow a hybrid model which means we not only publish subscription articles, but authors can choose to pay to make their article open access. A lot of people don’t really understand this concept yet. Going further forward, one of the big challenges, particularly for individual research groups, will be sourcing payment for articles but there are other approaches to OA. Many journals, including my own, are quite generous in the way they enable research to be shared without payment. I wrote this editorial in an attempt to clarify the territory for colleagues who are operating under these misapprehensions and, if I’m honest, to make it clear that our journal is a good venue in the world of OA! During the process of writing, there were several things I found very interesting. One was the extent to which we on IJNS have not really been engaged in setting our OA policy. I’m actually pretty comfortable with where our journal is now. What would cause me concern are blanket changes implemented by Elsevier that don’t take into account individual journal’s needs. For example, I would like to keep green open access, i.e. the ability for authors to post the post-print (the accepted manuscript sent to the publisher) version of their paper on their own personal websites immediately, and in institutional repositories after a short embargo period. In our field, it’s the published paper that really counts so green open access doesn’t affect our subscriptions if done in this way, in fact, it makes us very competitive. It was also an interesting exercise to nail down what our OA policies are - it was surprising how much work we had to put into understanding all the nuances. I did eventually find my way to information where the policies were fairly clearly outlined but it was difficult. If I put myself in the shoes of an author, who already has all sorts of detailed guidelines to follow and information to read, I can imagine tracking down OA policies is a step too far. Is that the fault of the publisher, in this case, Elsevier? Not really. In the world of the internet it is extremely easy to make information available and that often means there is too much information to sort through. I think the only option is to make information available in a broad number of ways until it becomes zeitgeist and begins to shape the way people think. It’s not just the publisher’s responsibility, but a collective recognition that this information should be shared through many, many channels. With this editorial, I wanted to help to tell that story. If there are other editors out there uncertain how to communicate about open access to their readers, I would certainly recommend writing a small editorial – the process might provoke their own learning on this subject. It’s going to be a huge issue for authors and readers, if not today then tomorrow and if not tomorrow then the day after. I think those who understand OA and inform readers about what is possible will certainly reap the rewards. Professor Peter Griffiths, PhD, BA, RN, is Chair of Health Services Research at University of Southampton in the UK and Executive Editor of International Journal of Nursing Studies - a forum for original research and scholarship about health care delivery, organization, management, workforce, policy and research methods relevant to nursing, midwifery and other health related professions. Before taking up the Chair of Health Services Research, he was, from 2006 to 2010, Director of England's National Nursing Research Unit.